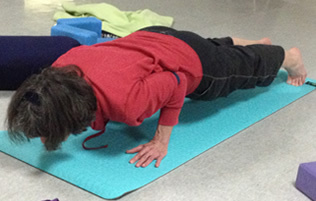 Home Rossmoor Fitness Rossmoor Advanced Beginner Series-Starts October, 2015, Weds. 5:30 p.m. The series of 8 classes + free make-up/bonus class = 9 classes starts Wednesdays, October 9th, 5:30-6:50PM in the Shasta Room, Rossmoor Fitness Center. $100 or receive Early-Bird Discount $90 by October 1. All props are provided. Best to bring your own mat if you have one or instructor will offer recommendations. Dress appropriately with layers. Call teacher: 925.200.5130 or email: leena@ompeace.com. Advance registration and pre-payment required as participation it limited to first 10 students. TLC-Tender Lovin’ Care Yoga-Rossmoor AND Danville!